The commission’s terms of reference talked about improving the flexibility and affordability of childcare which, in turn, would help workforce participation. The headlines generated by the draft report focused on the possibility of childcare subsidies extending to nannies, and the fact the PC dumped on the PPL scheme, suggesting its funding be instead put in to subsidising childcare. But the 904-page report actually shakes up a lot more of the “givens” in the wider policy debate. It recommends directing subsidies back through childcare providers, for example, ending one of the Howard-era payments that tried to politically leverage spending by putting it instead in taxpayers’ hands. It deals both with particular structural problems in the childcare market and how these play into the shortages of places that terrify any new parent. For example, caring for babies younger than two costs roughly twice as much as it does to look after older children, yet most providers cross-subsidise to entice parents in the door but in ways which partly explain the lack of places for really little kids. The commission’s report also deals with the effective marginal tax rate disincentives in the welfare system to parents returning to work and how structured subsidies exacerbate these problems. The big surprise, however, was the Commission’s finding that improved childcare accessibility isn’t going to lead to any significant improvement in either participation or productivity. This is counter-intuitive and brings into question the social and economic efficacy of the paid parental leave scheme. Nevertheless the Commission comes up with the novel idea that subsidies could be justified in the interests of the well-being of children. That is, childcare has tended to be debated as a workforce issue, or as an entitlement issue for parents, rather than one that frames the discussion as one about government subsidies directed at the welfare of children. Childcare has snuck up on us as a new “entitlement” in the past few decades that now sees governments meeting two-thirds of total costs, without the community ever having a real debate about what the community benefits – as opposed to the benefits to individual families – might be. Tingle says we haven’t ever really discussed the issue, or how we best target set dollars to maximise outcomes if children’s well-being is the target, rather than the workforce. Tingle perhaps missed a series of discussions probably at least 10 years ago, from memory, largely via Radio National’s Life Matters program on whether child care was good for children. Early childhood education practitioners I talked to at the time were largely negative about long day-care. On the other hand, there was evident value for development and learning for children to be exposed for part of the week to the stimulus provided by quality child care. The tipping point between positive and negative is not a matter for generalisation, rather it depends on individual circumstances. 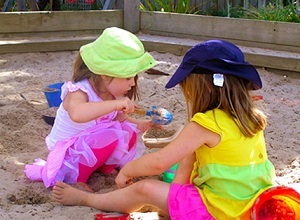 I note here that Queensland’s preschool education provisions introduced in 1971 by some talented and respected early childhood educators opted for a model that had five 2.5 sessions per week with each preschool having two groups either split to mornings and afternoons, or splitting the week at Wednesday lunchtime. The sector achieved a 90% participation rate, with some children also attending childcare during part or the whole of the rest of the week. The preschool year has now been replaced by a full prep year starting children 6 months older. There was also detailed examination of institutional delivery provisions at the time when Maxine McKew was working for Julia Gillard, then minister for education, when Labor policy was to deliver childcare in association with schools. I know McKew was talking to some well-credentialled people about imaginative, indeed exciting delivery modes. Apparently she was cut off at the knees by Gillard and the initiative was dropped as a cost saving measure. I’ve never heard the real story on what happened. McKew did not generate much public debate on the issues, just worked away quietly, perhaps too quietly. I’ve long suspected that her relationship with Gillard was basically dysfunctional from the start for whatever reason. Tingle’s main point, however, is that this government’s MO is the grab for solutions without working through a proper public policy development process. I don’t see that changing. This one is worth doing properly. Research from decades ago indicates that early childhood education opportunities have a lifetime impact on personality styles and individual life chances. In my humble opinion the lack of appropriate early childhood experiences shows in many of our politicians. Many were almost certainly bullies in the sandpit! Update: Finally I read the chapter ‘Not Just Child Play’ in Maxine McKew’s Tales from the Political Trenches. From reviews it seems there was a lack of chemistry between Gillard and McKew, but from the book their relationship seems professional enough within McKew’s portfolio responsibilities. Labor went to the election promising 260 new centres to be associated with educational institutions, presumably principally schools. 38 of the centres were targeted for ‘hot spots’ of special need. It’s not clear from the text whether these 38 were built, but expressions of interest were called for the remaining 222. In the event the money was spent on cleaning up after Eddy Groves and the collapse of the ABC chain. There was a proposal to include the childcare centres in the Building the Education Revolution funding (halls and libraries) but Gillard chose not to run with it. There was a problem McKew says, in that for every centre with hopelessly long waiting lists there was one down the road struggling to fill places. Quality varied immensely and the stories from some centres curdled the blood. There was a national accreditation body, but it was operating at the limits of effectiveness, in other words in practical terms it was virtually useless. McKew then turned to the task of cleaning up the existing system which was a mess of different provisions and standards across the country. She appointed and worked with an Expert Advisory Panel, which looked at everything from staffing ratios, to program and curriculum standards and systems for accreditation and supervision under the rubric of a National Quality Framework. McKew says that this was successful, but few in the community may be aware of its existence. On staff ratios, the norm was 1:5 for under twos. McKew wanted 1:3 but the states and territories would only come at 1:4. 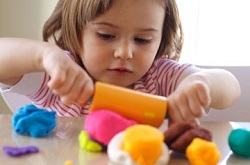 Every centre with 25 or more children would employ an early childhood teacher by 2014. In addition, at least 50% of other staff would need to have or be working towards a diploma in early childhood education and care. Gillard brought a calm rationality to proceedings, and with appeals at times to ‘the collaborative spirit of COAG’, she locked in a transformative agreement. Mission accomplished, it seems, and McKew went off to work for Anthony Albanese. I’ve just added a longish update to the post after reading the chapter ‘Not Just Child Play’ in Maxine McKew’s Tales from the Political Trenches. You can find reviews of the book here, here and here. There’s also an interview with Dennis Altman, but it’s mostly about Julia knocking off Kevin. I don’t think McKew is the best source on that subject.